When it comes to fighting signs of aging it is always better to start early than late! Dealing with a few fine lines immediately is better than waiting for the lines to be more prominent. It also gives you the advantage of trying out simple natural home remedies and come up with your own anti-aging serum combinations. Being natural they have less side effects and you can try out various combinations to find what works and what doesn’t for your skin type. One of the best natural anti-aging skin care treatment one can easily do at home is to use essential oils. They are highly effective in reducing the appearance of wrinkles, boost collagen, tighten the skin and fight signs of aging. The best part is you can even mix and make your own anti-aging serum at home! It can also save you the trouble of experimenting with different anti-aging devices and products which use harsher ingredients that can harm your skin in the long run. Featured here are the top 10 best essential oils for anti-aging which are quite effective and are readily available. Essential oils are concentrated hydrophobic liquid containing volatile aroma compounds extracted from plants. They are also known as ethereal oils, volatile oils, or simply as the plant oil from which they are extracted, such as oil of clove. The oil is said to be “essential” because it contains the “essence of” the plant fragrance. Essential oils are obtained through distillation using steam or mechanical methods such as cold-pressing. Once the aromatic chemicals have been extracted, they are combined with a carrier oil to create a product that is ready for use. The way the oils are made is important, as essential oils obtained through chemical processes are not considered as true essential oils. In contrast to fatty oils, essential oils evaporate completely without leaving any residue when dabbed on a filter paper. Other process of extraction include expression, solvent extraction, absolute oil extraction, resin tapping, and wax embedding. Essential oils have different chemical composition which affects how it is absorbed, how it smells, and how it affects us. Some of the most popular plant fragrant essence include winter green, peppermint, lavender, bergamot, tea tree, and oregano. These oil are used in soaps and other products, cosmetics, and perfumes, for adding scents to incense and household cleaning products, and for flavoring food and drink. They are also used in aromatherapy, which is a form of alternative medicine that derives its healing effects from aromatic compounds. Essential oil does have significant effect on your skin and can improve it in many ways. They are anti-microbial and rich in antioxidants which help prevent the damage on skin due to free radicals, pollution and sun light. It also improves skin cell renewal and prevent dull looking skin. Essential oils for wrinkles provide vital moisture to aging skin and reduce the appearance of fine lines or wrinkles. They also improve skin elasticity and tighten the skin. So essential oils do work and can be the perfect solution to a natural anti-aging skin care regimen. Though there is no single solution or serum and you may need to try them out to find the right essential oil that works for you. It is better to consult your dermatologist to find out if your skin is safe to use them. Essential oils are most commonly used in aromatherapy. They can he inhaled through the nose or mouth, or rubbed on the skin. Improper use of this oil may cause harm which include skin irritation and allergic reactions. Many varieties of this oil will likely help clean wounds and treat skin infections, but the strongest evidence available indicates that they can help with sleep quality, headaches, and facial acne. 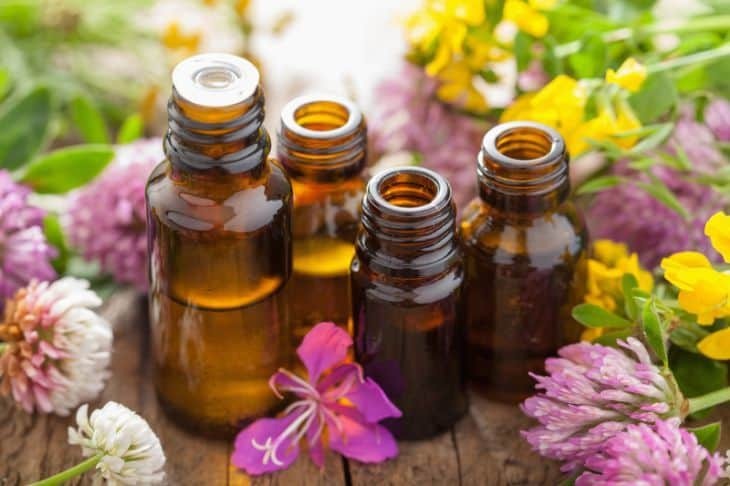 Certain varieties of essential oils were not meant to be consumed orally because they can be highly toxic if ingested and could cause adverse reactions on some people. The chemicals in this oil can interact with your body in different ways and when applied to the skin, some plant chemicals are absorbed. Areas of the limbic system can be stimulated by inhaling the aromas from essential oils. The limbic system is the part of the brain that plays a vital role in the sense of smell, behavior, emotion, and long-term memory. This limbic system also plays a part in controlling some unconscious physiological functions, such as heart rate, blood pressure, and breathing, that’s why it is said that, essential oils can exert a physical effect on the body in this way. There is no single factor that is responsible for aging. Many factors can cause skin aging. Some are influenced while others are natural. One thing that cannot be changed is the natural aging process. Another type of aging that can be influenced by our environment and lifestyle which may lead to premature skin aging is known as “extrinsic aging.” The effect that this type of aging has on our skin can be curtailed by taking some preventive actions. Facial Expressions – Persistent anger and distress can form permanently on the face in the form of fine lines and wrinkles. When the face expresses chronic sad or angry emotions, the constant scowling can turn into wrinkles formed by muscle memory. That is why a happier face is free of wrinkled eyebrows and scowl marks because the muscles have spent more time in a relaxed state. 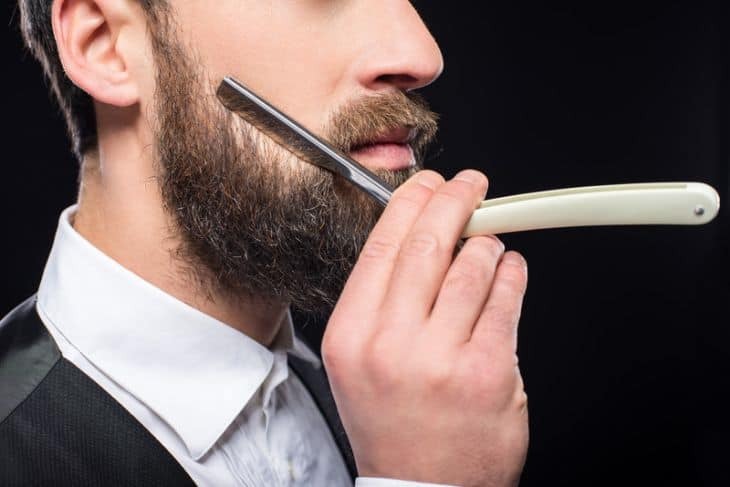 Smoking – Smokers develop deeper forehead wrinkles, fine lines around the mouth and are likely to have a bad teeth. If the entire body and skin is deprived of enough oxygen due to smoking, the look and feel of a smoker’s face can be obvious after some time. Diet – Choosing a diet that is high in fats, processed foods, sugars, and low in fresh fruits and vegetables can create an environment that is not youth-friendly. White flour, refined sugar, excessive dairy products, can create inflammation in the body which contributes to the aging process but foods that are high in natural products can help maintain the younger looking appearance and tightness of the body and skin. Alcohol consumption – Excessive intake of alcohol can leave permanent marks on the body with damaging effects on the liver and skin. The facial skin will be discolored after some time, with poor muscle tone, and broken blood vessels. Sun exposure – Aging process can be easily accelerated by exposure to sun rays. Sun damage is the number one cause of wrinkles on the face and skin. The harmful UV rays of the sun can also exacerbate age spots and other forms of discoloration. When too much time is spent under the sun, the benefits of absorbing the necessary Vitamin D is countered by the damage of the UV rays to the skin. Weight – Being too thin or too fat can add to the aging process. Underweight reduces the natural fats in the facial structure which causes the skin to sag thereby promoting wrinkles. Overweight can make you look older by creating poor muscle tone and overweight people tend to be less active and they grow older which may lead to other chronic health problems and the cycle of aging continues. Stress – Living a stressful life can accelerate aging. People who are overwhelmed with stress tend to have illnesses that can help the aging process. Though a certain amount of stress is actually good for the body, but stress that create physical signs on the body should be avoided. Facial Products – The chronic use of harsh chemicals on the face can add to aging but making choices that works with the body rather than against it, can help slow down the aging process. Other factors include: genetics, hormones, dehydration, and environmental elements such as pollution, salt, and wind. Essential Oils are anti-aging power houses which may include hormone stimulation, improved blood circulation, skin tightening and lifting, age spots lightening, skin regeneration and rejuvenation, delayed wrinkles and fine lines. They can also be used for aging skin as a night time skin care treatment because, this is the time the skin repairs itself. Essential oils may help reduce the appearance of wrinkles and other signs of skin aging. For best result and safer use, this oil should always be mixed with a carrier oil before applying it on any part of the body. Essential oils should not be applied directly to the skin to avoid possible side effects and skin inflammation. There are different ways in which it can be used to curb skin aging. Antioxidant-rich foods such as green, leafy veggies and berries can help ward off chronic diseases due to their effect on free radicals. Through essential oils, they can also help reduce wrinkles. When used with an essential oil, they control free radical scavenging activity while essential oil in turn may help prevent the damaging effects of environmental stress such as sunlight, air pollution, and smoke. Some of the different antioxidant base used for essential oil wrinkle therapy include: rosemary, lemon, clary sage, carrot seed. Step 2: Choose something to smooth, moisturize, and rejuvenate. Moisture is one of the most important benefits of essential oil when it comes to wrinkles and fine lines. The natural levels of moisture tend to drop as we advance in age, and moisturizing products such as essential oils produces moisture which helps trap water in the skin to improve our overall complexion. The skin becomes smoother after sometime once it has a proper balance of moisture and keeping the skin moisturized can also enhance skin cell turnover. This in turn can help reduce the appearance of wrinkles. The essential oils for wrinkles that can be used to smooth, moisturize, and rejuvenate the skin include: rose, sandalwood, Geranium, Ylang Ylang, Helichrysum, Neroli, jojoba oil, pomegranate, frankincense, and lavender. Step 3: Choose your carrier oil. Before applying any essential oil, it’s important to mix it with a carrier oil. This is because, a carrier oil can help reduce the essential oil’s intensity to prevent skin irritation, and it will also make the product last longer. Carrier oils have additional moisturizing benefits which is vital for any wrinkle-fighting skin regimen. Some of the most commonly used carrier oil include Vitamin E oil, grapeseed oil, apricot oil, almond oil, argan oil, and avocado oil. Vitamin E oil – Vitamin E is a powerful antioxidant. It can help reduce cholesterol and also repair the skin. It fights free radical which causes skin cancer and helps even out skin tone. As a carrier oil, it has the potential to boost the rejuvenating effects of essential oils. Grapeseed oil – Grapeseed oil contains antioxidant and it’s most commonly used for wounds and inflammation. It also offers both rejuvenating and nourishing potential. Apricot oil – This oil contains high level of Vitamin E and it’s capable of providing added element of rejuvenation and nourishment. Apricot seeds contain high level of linoleic and oleic acids which are essential fatty acids for clear skin, and the oil is made from the seed. This oil is ideal for both dry skin and wrinkles. Almond oil – Almond oil has nourishing and rejuvenating qualities with significant anti-inflammatory benefits used on related skin diseases such as psoriasis and eczema. This oil may also improve scars, dry skin, skin tone, and complexion. Avocado oil – Avocado oil is known for its heart-healthy fats and they offer more benefits in skincare and alternative medicine. They have anti-inflammatory effects and help increase collagen production. Avocado oil made from the seed tends to have the most collagen-boosting effect. Argan oil – This oil is a rich substance made from argan fruit trees. It is used for skin care and haircare. As a carrier oil, it may help boost skin elasticity in wrinkle care regimen. Carrier oil also known as base oil or vegetable oil, is used to dilute essential oils before they are applied to the skin in aromatherapy and massage because, essential oils are potent and can cause irritation if applied directly to the skin. They also carry essential oil to the skin and do not contain any concentrated aroma although some may have a mild distinctive smell. There are several types of carrier oil available for herbal remedies, skincare products, and cooking. True carrier oils are generally cold-pressed or macerated vegetable oils. Always remember to keep your carrier oils in a cool, dark place to prolong their shelf life. Sniff the oil before use to be sure that it hasn’t gone rancid. Essential oils are derived from plants naturally but they are not completely risk-free. In most people, allergic reactions may occur even if they’ve never had plant allergies. Risks associated with essential oils are often related to allergic reactions which results in a rash or itchiness. In some cases, a serious life-threatening allergic reactions characterized by breathing difficulties and swelling may be experienced. If this occurs, immediate medical attention is advised. Essential oils are very toxic and should never be swallowed. To reduce the risk of allergic reactions, a patch test should be conducted before use. Everyone needs a blemish-free, clear, bright, and soft skin. But before you spend a fortune, you should first try the under listed natural oils which can help provide your skin with the nutrition it needs. Over-the-counter anti-aging creams are loaded with harmful chemicals which can cause damage to the skin after sometime and they are also very expensive. Instead of using harmful ingredients on your skin, there are varieties of natural oils that you can use to achieve that beautiful and youthful looking skin. Keep reading to discover the 10 best essential oils for skin ageing. Geranium oil is extracted from the flowers, leaves, and stem of geranium plant. It is non-irritant, nontoxic, and non-sensitizing. It can be used to reduce inflammation, balance hormones, treat acne, and alleviate anxiety. Geranium essential oil's therapeutic properties include being an antiseptic, antidepressant, and a wound healer. This oil is also one of the best oils to treat common skin conditions such as eczema, oily skin, congested skin, and dermatitis. Pour jojoba oil and geranium essential oil into a dark colored glass dropper bottle using a funnel. Shake the bottle to mix the content and take 4-5 drops of the oil mixture (serum) and apply it on your clean face. These essential oils for wrinkles can also be used as a daily moisturizer because of its non-greasy texture. It helps remove wrinkles, excess oil, breakouts, and gives life to the skin. Frankincense essential oil is a powerful astringent that can help reduce the appearance of large pores and wrinkles, acne blemish. It is ideal for treating eczema and minimizing scar. This oil is also one of the best essential oils for skin tightening. It can be applied on saggy skin such as the abdomen, under the eyes or jowls. Pour frankincense essential oil and sweet almond oil into a dark colored glass dropper bottle using a funnel and shake the bottle to mix the content. Take 4-5 drops of the oil mixture and apply it on a clean face. For best result, use it as the last thing at night before going to bed and this will help your skin to rejuvenate. This essential oil has been used over the years as a traditional beauty treatment for the skin. It contains a growth hormone known as sesquiterpene, secreted by the hypothalamus and pituitary glands. These glands help skin cells to renew and recover from damage. Sandalwood is also one of the top essential oils for dark circles and can be used around the eyes to make the skin look and feel smoother. It has exotic but woody aroma and it’s perfect for unisex treatment. Pour the pomegranate seed oil and sandalwood essential oil into a dark colored glass dropper bottle using a funnel and shake the bottle very well to mix the content. Take 4-5 drops of the oil mixture and apply it on a clean face. Using sandalwood oil for a gentle massage of 1-2 minutes in an upward and circular manner will give great results. As a daily moisturizer, this oil mixture helps control excess oil, removes wrinkles and uneven skin tone, and also brightens the skin. Lavender essential oil is a good moisturizer which helps increase blood flow to the skin and allows oxygen and nutrients to reach the skin cells for renewal and healing. It can be used safely in all types of skincare recipe. It is very effective in reducing fine lines and wrinkles on the face. Also rich in antioxidant which helps to nourish the skin and combat free radicals. Lavender essential oil helps to rejuvenate the skin and brighten it. Additionally, continuous usage of lavender oil reduces stress and anxiety which in turn benefits the skin. This makes it one of the best essential oils for deep wrinkles. Add 4 drops of lavender essential oil in a dark glass dropper bottle containing 1 tablespoon of rosehip seed oil and shake the bottle to mix the content. Massage the mixture onto your face and neck to increase blood circulation and reverse the signs of aging. This is another best anti-aging essential oils that has been used for decades for aging skin. It helps in skin moisturizing and firmness. Rose essential oil encourages the renewal of skin cell membrane and it’s an ideal skin rejuvenator which helps reduce the appearance of wrinkles and fine lines on the body and face. Add rosehip seed oil to the rose essential oil in a dark colored glass dropper bottle using a funnel and shake the bottle to mix the content. Take 4-5 drops of the mixture and apply it after washing your face. Gently massage your face with this mixture for 1-2 minutes in an upward and circular manner. To prevent acne and removal of wrinkles, uneven skin tone, dark spots, use this oil mixture as a daily moisturizer. It also help control excess oil on the skin and brightens it. As a spot treatment, blemish and spot is eliminated to give a supple skin. This essential oil has antioxidant properties and it is ideal for a stressed skin. It also helps to boost the effectiveness of skin care products as it encourages the skin to heal faster. Carrot seed oil has a rich, earthy aroma and it’s ideal for unisex skin treatment. Add carrot seed oil to the lavender essential oil in a dark colored glass dropper bottle using a funnel and shake the bottle to mix the content properly. Take 4-5 drops of the mixture and apply it after washing your face in the morning. This oil mixture can be used as a daily moisturizer to control excess oil and eliminate uneven skin tone and wrinkles. Myrrh essential oil gives several unique benefits to the skin. It contains anti-inflammatory and antioxidant properties, helps combat skin cell damage and it’s ideal for irritated and sensitive skin. Its antibacterial property makes it one of the best oil for menopausal acne breakouts. Mix pomegranate seed oil, sweet almond oil, and myrrh essential oil in a dark colored glass dropper bottle. Take 4-5 drops of the oil serum and apply it after washing your face. Gently massage it for 1-2 minutes in an upward and circular manner. Using this serum as a daily moisturizer by adding it to your skincare routine will help keep your skin supple, soft, and also rejuvenate it. If you want to improve the look and texture of your skin due to tightened skin pores, then Clary Sage is the best for you. It is antibacterial and antiseptic and can be used near the eyes. Add coconut oil, clary sage essential oil, and geranium essential oil in a dark colored glass dropper bottle using a funnel and shake the bottle to mix the content. Take 4-5 drops of the oil serum and apply it after having your bath. Massage gently for 1-2 minutes in an upward and circular manner. For better result, administer it daily. This oil serum can also be used as a night eye serum to relieve puffy eyes, prevent eye bags and fine lines under the eyes. It promotes faster turnover of skin cells and this helps reduce wrinkles and age spots. Helichrysum essential oil is ideal for the reduction of scars and stretch marks. It is soothing to the face and it’s best for massage oils and full-body products. Pour all the oils into a dark colored glass dropper bottle using a funnel and shake the bottle to mix the content. Take 4-5 drops of the oil serum and apply it after having your bath. Massage gently for 1-2 minutes in an upward and circular manner. The daily usage of this serum as a skincare moisturizer will help eliminate wrinkles, uneven skin tone, dry skin, acne, control excess oil, and brightens the skin. It will also help remove any effect of UV rays and soothe the skin. Ylang Ylang oil is a good essential oil for age spots as it improves the elasticity of the skin by promoting cell regeneration. It helps eliminate fine lines and wrinkles and it’s used in bath products and body lotions to combat skin aging. Pour all the oils into the dark colored glass dropper bottle using a funnel and shake the bottle to mix the content. Take 4-5 drops of the oil serum and apply it after washing your face. Massage gently for 1-2 minutes in an upward and circular manner. As a daily moisturizer, this oil mixture helps eliminate wrinkles, uneven skin tone, and also brightens the skin. For great benefits of this oil mixture, add 9-10 drops of the oil to boiling water and allow the steam to penetrate your skin. This will help revive your stressed skin and rejuvenate them. Now that you know the benefits of different essential oils for aging skin, you can choose the right one for your needs. But before incorporating any of these best essential oils for anti-aging oils into your anti-aging skin care routine, discuss with your Dermatologist if you have known skin conditions. This will certainly help you to avoid prescription reactions or over-the-counter products you may be using. It may take regular use for a period of time till the effects are visible. The elimination of wrinkles may take up to three months before a noticeable effect is achieved. If there is no improvement after using these oil for few months, you can try other combinations of essential oils or other products.